Avocado is full of healthy fats, vitamins, and antioxidants, avocados are great for your skin too. If you want beautiful looking skin without buying expensive skin products, make avocados a part of your diet. In addition to being an awesome source of omega fats, the fruit also has great beauty and health benefits. For instance, drinking avocado juice nourishes the skin and brings that inner glow we all want. Also, oil derived from avocado improves nail strength and helps rejuvenate dry skin. Acne scars can be nasty and especially stubborn. Not only does avocado clear acne scars, the fruit also serves as an effective dark spot remover. In addition to improving overall skin quality, the avocado is exceptionally rich in vitamin E, the element responsible for repairing damaged tissues. Blend a few avocado slices with lemon to attain a flawless clear skin. Aging can change your skin, giving you fine lines and wrinkles. But avocados can turn the clock back. On the one hand, avocado antioxidants like vitamins C and E can fight free radicals which damage the skin. Some other chemicals in avocado oil stimulate the synthesis of collagen and elastin fibers. Collagen and elastin are proteins responsible for maintaining the structure and elasticity of your skin. Plus, oleic acid in avocado can reach the second layer of the skin and nourish it well to prevent wrinkles triggered by dryness. So to give your skin a new lease of life, have half an avocado daily and apply some avocado oil. When your skin is exposed to the harmful ultraviolet rays of the sun, it may undergo DNA damage (which can lead to skin cancer) and inflammation. But according to research, polyhydroxylated fatty alcohols, a kind of fat found in avocados, can reduce both radiation-induced cellular damage and skin inflammation. In fact, applying avocado pulp or oil topically enhances DNA repair of the skin after sun exposure, protecting it from malignancy. Moreover, vitamins C and E present in avocado also protect the skin against UV damage, with vitamin C fighting UVA damage and vitamin E fighting the DNA-altering UVB rays. However, do keep in mind that avocado can’t act as a sunscreen. So remember to also use a sunscreen to protect your skin. Are unsightly pimples causing you distress? Applying some mashed up avocado could help you out. One study found that a cream containing avocado extracts significantly reduced the number of papules and pustules in people who had acne. This cream inhibited an enzyme known as 5-alpha reductase which is involved in making your skin excessively oily and making it acne-prone. 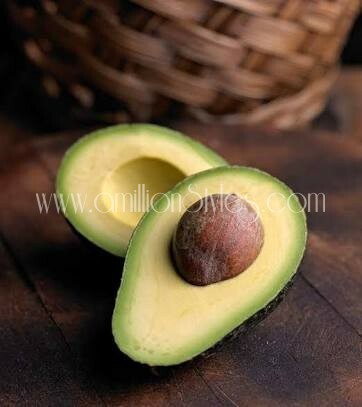 Avocado oil also has linoleic acid, the lack of which in the sebaceous glands on the skin is linked to acne. So a regular avocado oil massage can prevent acne too.